I had the most wonderful day baking through the day, preparing for our trip to my hubby dear’s hometown. He suggested I bake those cookies for our nephew and nieces. Since chocolate is the most favoured one, I decided to make the usual basic biscuit in chocolate and also with chocolate chips. 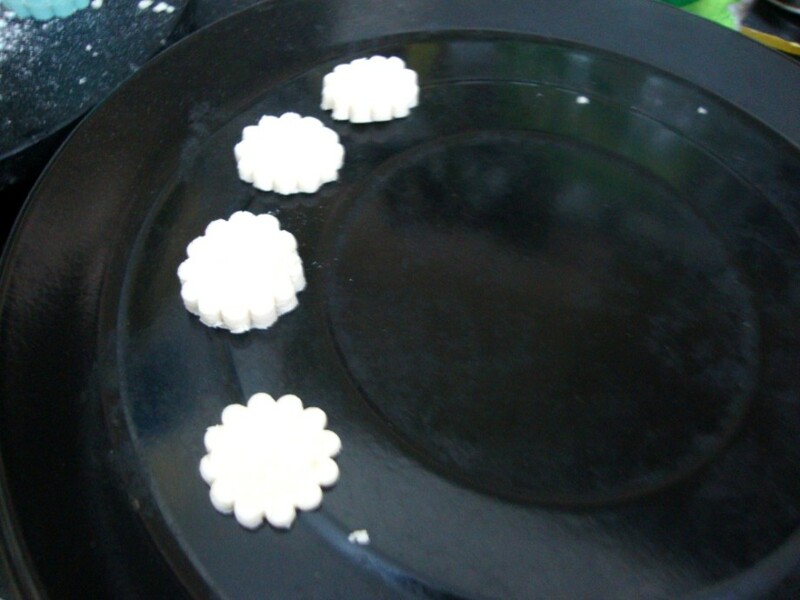 Plus making with vanaspathi, I also made it butter, which turned out more chewy but still excellent in taste. I made about 4 different batches of different flavoured cookies. I had bought some cookie cutters and other shapes. I wanted to try them on these. The smallest one looked very cute and I ended up using it for all the batches. Other ones were maple leaf, tree. Though after getting baked they lost their shape or rather didn’t look like that. I followed almost the same recipe as I did for these Basic Biscuits. 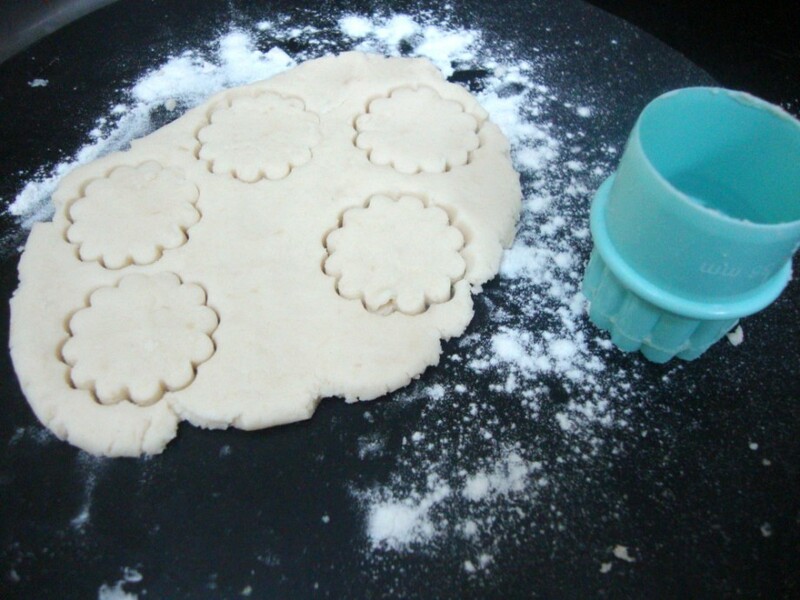 After rolling out the dough, press them down and using the cutter insert to get the shapes. 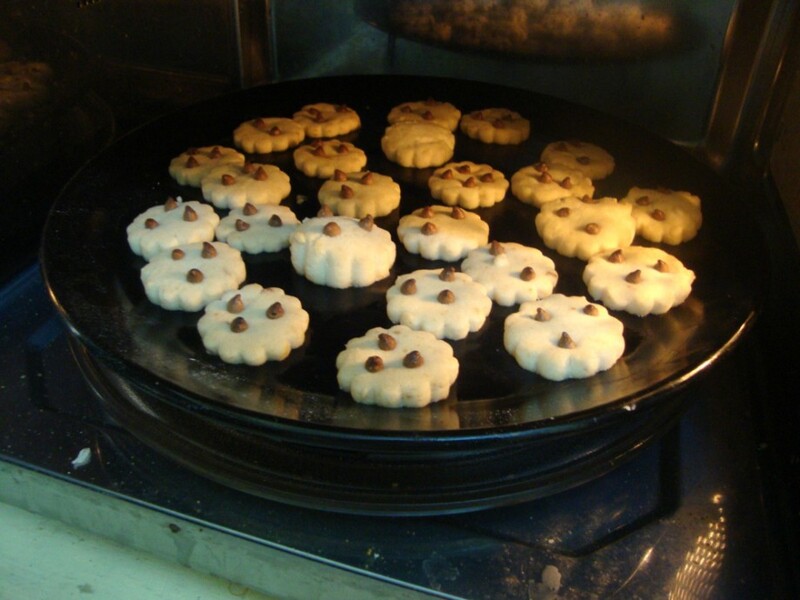 Pre heat the oven at 185 degree C. Meanwhile place the shaped cookies on the tray. 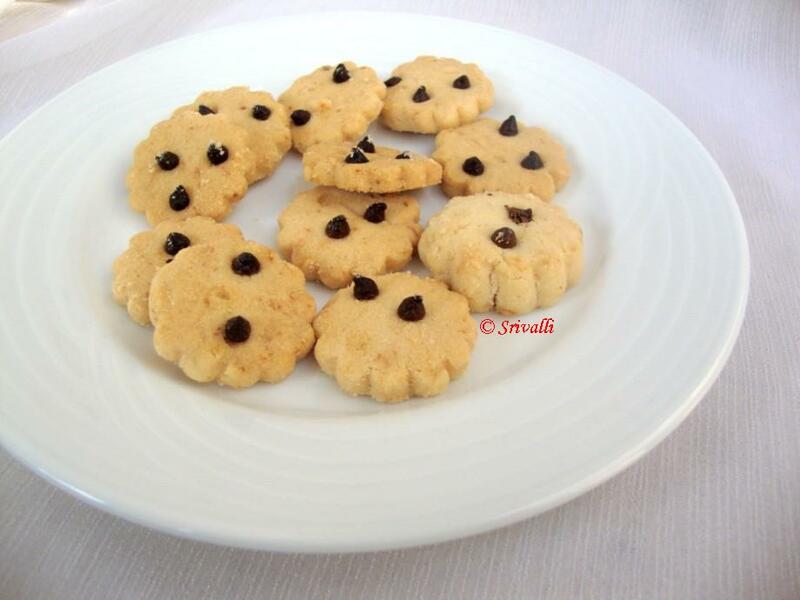 Place the chocolate chips on the top, press them slightly inside else they will fall off after being baked. Once you have placed evenly on the tray, bake it for 15 minutes at 185 C.
Allow it to cool completely before storing them in a box. Bake them first for 10 mins, then check and continue baking for 4 -5 mins, allow to cool. Sometimes it gets baked by 13 minutes itself. These are again for my Kid’s Delight ~ Chocolate Feast! The biscuits look great. You are very good at baking. Look very good. My kids love anything with chocolate in it so this is something that i have to try! Looks lovely, I'm sure your niece are going to enjoy these a lot. Have a safe journey. 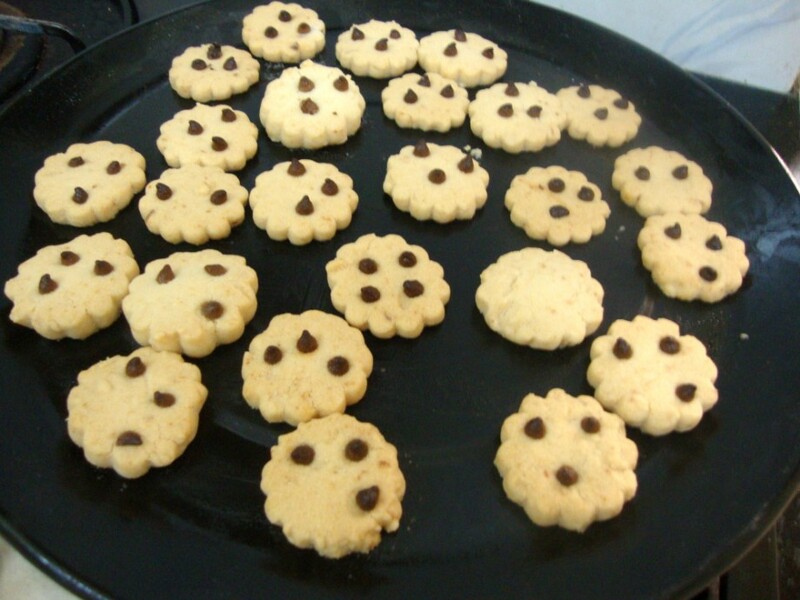 they looks yummy and cute…i am sure kids are going to enjoy them totally!